The examination forms will be uploaded on CampusERP and all the students will be able to access it through their respective CampusERP login. The students concerned should login to CampusERP using their login credentials, fill up the required information, make online payment of examination fee/report information of offline payment of examination fee and submit the examination forms through their CampusERP login only within the stipulated period. No offline examination form will be accepted. The access to the examination forms through CampusERP will be withdrawn after the due date of filing with late fee and the students will not be able to fill examination form any more. Students who wish to apply after the due date of filing with late fee will be able to do so through a special link activated in their CampusERP login after their application is duly approved by the concerned authority. If the last date of filling the examination forms falls on holiday/bank holiday or any other holiday decided later, the examination form will be available on CampusERP on the next working day. The colleges will daily review the status of examination forms submission and approve the forms which fulfill the criteria, print them and get them signed by the Deans / Principals / Directors and the incomplete forms or forms with incorrect information will be referred back to the student by the college for necessary action. After the due date has passed, the College will prepare the report in the prescribed format and forward to the Vidyapeeth along with the authorized examination forms. Filling of examination forms before the closing of the academic term, all such applications shall be deemed to have been provisionally accepted by the Vidyapeeth. However if the Deans/ Principals / Directors communicates to the Vidyapeeth that, the applicants have not satisfactorily kept their term for their courses, then admission of applicants to the examinations concerned is liable to be cancelled or withdrawn. In continuation of the earlier letter No. DPU/574/2015 dated 03.07.2015, the examination fee is revised. The revised examination fees is made applicable to the students who are admitted to their first year course/programme, from the academic year 2016-17 onwards. The revised examination fees is also made effective for the repeater students who are appearing for the examination of the first year vide letter No. DPU/717/2016 dated 01/09/2016. The college office shall undertake the scrutiny of the examination forms and will ensure that the forms are correctly filled and the examination fees are also paid in accordance with the number of subjects offered by the students. As per the procedure laid down by the Account Section vide their letter No. DPU/855/18 dated 13/08/2018 the examination fees is to be collected from the students by (1) Online through Net Banking, Debit/Credit card etc or (2) offline through Demand Draft in favour of Vidyapeeth / NEFT into bank account of Vidyapeeth. The information related to the online and offline fee payments of examination fee will be available on the CampusERP in the form of a report. The Colleges will submit the examination fee payment details to the Examination Section along with the examination forms and demanded information in the prescribed Appendix attached herewith. The Deans / Principals / Directors are requested to prepare the statement examination wise in triplicates shown in the enclosed Appendix. They are further requested to ensure that the examination forms along with the examination fee payment information report are sent to the Examination Section of the Vidyapeeth within seven days after the expiry of the last date without late fee and within seven days after the last date with late fee for filling the examination form. The Examination Section of the Vidyapeeth will retain the examination forms and one copy of the statement. The third copy of the statement will be sent to the Account Section of the Vidyapeeth within a couple of days for further necessary action. The Deans / Principals / Directors are also requested to bring the contents of this circular to the notice of students, teachers and all other concerned. Date: - 1st February 2019. 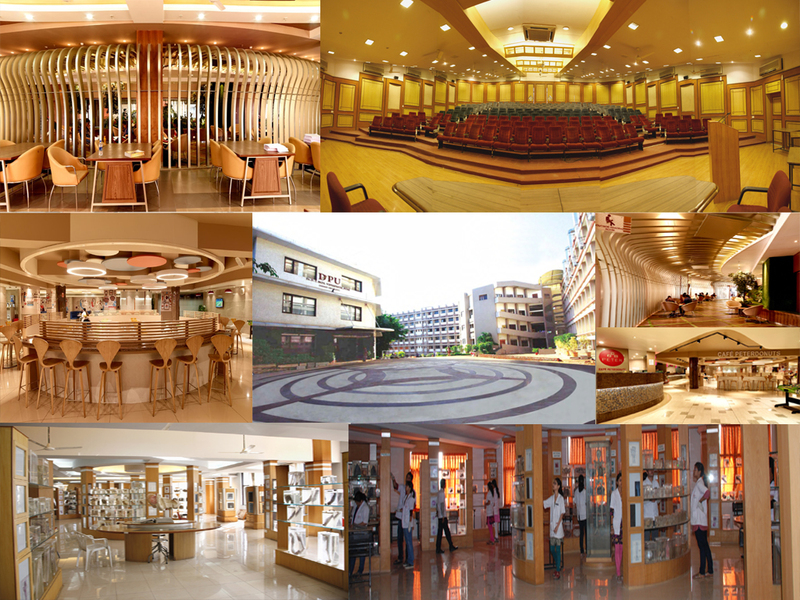 The Finance Officer, Dr. D. Y. Patil Vidyapeeth, Pimpri, Pune – 18. In-charge, Software Development Cell, Dr. D. Y. Patil Vidyapeeth, Pimpri, Pune – 18.